From the slimy backs of a South Indian frog comes a new way to blast influenza viruses. A compound in the frog’s mucus—long known to have germ-killing properties—can latch onto flu virus particles and cause them to burst apart, researchers report in Immunity. The peptide is a potent and precise killer, able to demolish a whole class of flu viruses while leaving other viruses and cells unharmed. But scientists don’t know exactly how it pulls off the viral eviscerations. No other antiviral peptide of its ilk seems to work the same way. 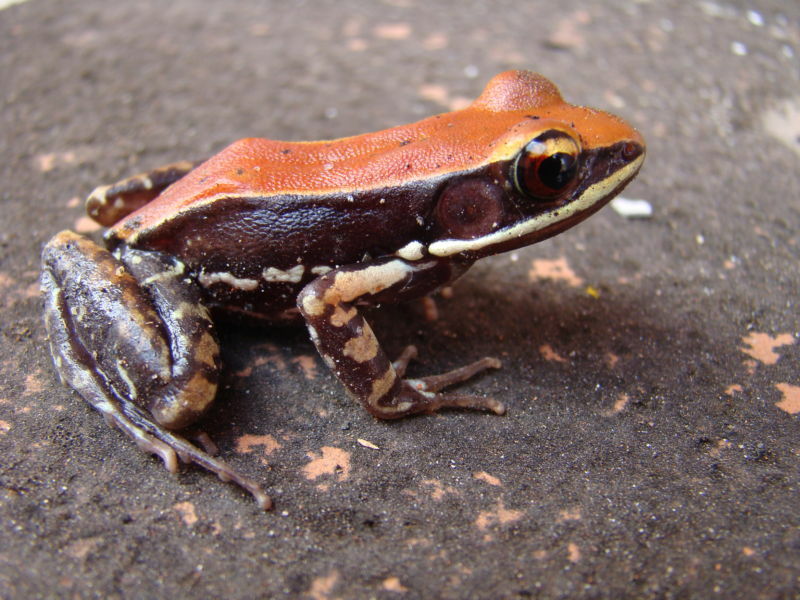 The study authors, led by researchers at Emory University, note that the peptide appears uniquely nontoxic—something that can’t be said of many other frog-based compounds. Thus, the peptide on its own holds promise of being a potential therapy someday. But simply figuring out how it works could move researchers closer to a vaccine or therapy that could take out all flus, ditching the need for yearly vaccinations for each season’s flavor of flu. With those annual waves of flu, the occasional pandemic, plus the rise of drug-resistant varieties of flu, “there is a pressing need to develop new antivirals” the authors write. They’re hopeful that their new peptide may be just that. On the hunt for new flu killers, the researchers considered the mucus of Hydrophylax bahuvistara, which is known to have antimicrobial secretions. After catching some of the amphibians from the wild and applying “mild electrical stimulation,” they got the frogs to leak out some of their germ-killing goo. The researchers then released the frogs back into the wild, unharmed. The researchers picked out four peptides in the mucus that seemed to kill off viruses. Of those, only one was also nontoxic to human red blood cells. They dubbed the peptide urumin, based on the word urumi, which is an Indian whip-like sword. Urumin seemed to specifically target HA1. In tests, it could take out all the H1NX viruses that the researchers threw at it. But not other viruses, influenza or otherwise. Interestingly, urumin seemed to target the HA stalk, which is typically hard to reach, as it's hidden under canopies of bulbous HA heads that sprout up from the virus particle. Researchers long to get at those HA stalks because they tend to have conserved regions—sections that are the same among all the flavors of HAs. So if they had a vaccine that could target the stalk, they could potentially obliterate all influenza viruses—a universal vaccine. Urumin was only active against H1, dashing any hope that it alone could offer a universal therapy. But figuring out how it gets to that coveted stalk territory could help researchers in their efforts to develop a universal vaccine. Moreover, urumin had an interesting effect on the virus: it made them explode. Usually, antiviral peptides that latch onto an HA simply block HA and keep the virus from invading cells with it, but viruses treated with urumin were destroyed. The researchers aren't sure why, but they hypothesize that after urumin binds HA, it exerts electrostatic forces on the surface of the particle that cause the whole shell to rupture.